After a lot of work, I finally can release the next major version of the Cray PVP simulator: You can head over to the download page and grab version 2.0. So what’s new? A ton of things, most of which you can’t directly play with. There’s support now for the XMP, YMP-el, J90 and SV1 family of machines. Yes, this means that I have IOS simulation for the super-minis! If you are interested in the back-story of that endeavor, you can read all about it at the ‘return of the Cray files‘. Unfortunately, while I can share the simulation sources for that work, I can’t share the OS images. You can nevertheless play around with it on the on-line simulator. As far as COS and XMP simulation is concerned, a ton of bugs have been fixed both in the simulator infrastructure and in the simulation itself as well. The vector- and floating-point operations should be much more precise now. There are some rather substantial speed gains as well for the mainframe process simulator. These pages contain my project notes on how to build a Cray supercomputer at home. It was – and is – a fascinating journey to me into the history of computers. I’m writing my story up in hopes that others (well, you, dear reader) will find it interesting. It is somewhat of a living document, a journal of sorts. Though the story starts several years ago – and that part I recount from memory – I intend to add new pages to the files as I progress. When I tell this story I leave out some of the dead-ends and my wanderings in the digital desert, so the story-line feels more linear than it actually was. I don’t think you want to hear about all the dozens of failed attempts at solving something. I’ll only leave some of the most spectacular failures in for entertainment value. You can download the latest version of the simulator from the download page. Special thanks to Andy Gelme, Scott G. Taylor, Brian Taylor and Chris Fenton without whom I would not have been able to get this project off the ground! The picture above shows Cray X-MP serial number 302 being assembled after delivery. I got this picture from Andy who was the source of the OS backup disk that I’ve used for this project. It is the machine that I’m simulating! The following picture shows how it arrived to the lab: through a hole in the wall. Now that the Cray simulator is finally booting the OS, I have to plead for your help! I need SW to run on this. I need source code, I need compilers, I need tools. Without these, the machine is almost as dead as if I haven’t done anything. The OS is just the framework to do useful work in, but useless in itself. If you have or know of anybody who has experience, old backup tapes, disks, anything that can be used with this machine, please contact me! Pingback: » Cray-zy progress! We have a booting system! You have your timeline a little wrong, I think. The Cray X-MP 2/2 was released before the Cray-2. 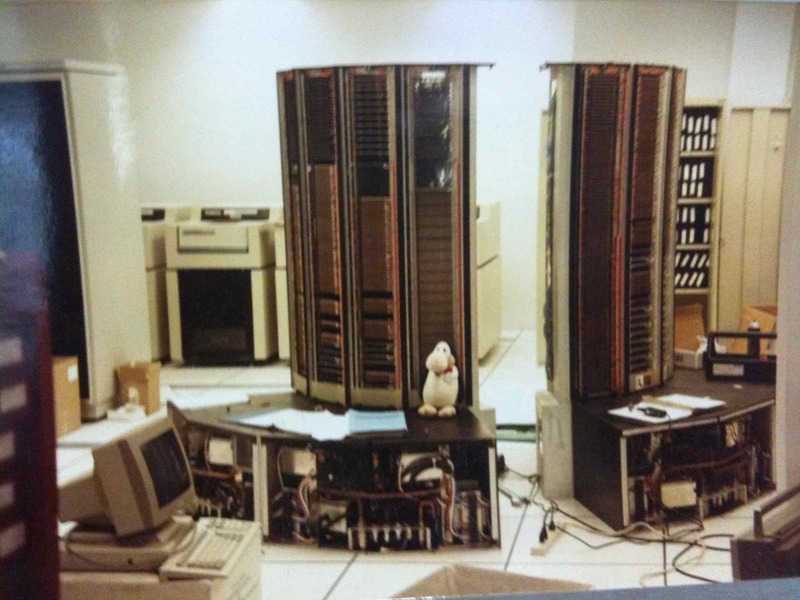 I ran on a X-MP 4/8 at NASA/Ames for quite a while before they got their first Cray-2. That could be the case, thanks for the input. I’ve seen conflicting information on the web about the release dates of these machines. I’ve tried to reconcile them to the best of my ability, but I could got things wrong. I certainly don’t have any personal memories from those days. Give me a call sometime, David. It’s been a while. My number’s the same. Get in touch with the computer centre at the ETH in Zurich. They has a XMP or YMP while I was there up to ca 1996. Hopefully Swiss orderliness extended to keeping stuff available, not just cleaning it up! Great suggestion, thank you very much! I will contact them – let’s hope they still have some backups. The e-mail you sent to ETH was forwarded to me, which lead me to your site. I worked for Cray Research in Zurich, where I was in charge of applications support and optimization. The X-MP of ETH Zurich was already decommissioned when I started working there in ’98, it was on display at the entrance of the computer center for many years. It was replaced with four J90’s, which were later replaced with two SV1’s. These machines were all running UNICOS, not COS. As far as I know the only thing left from this era is the X-MP chassis (which is no longer functional since many components were removed before it was put on display), and a few programming & optimization manuals that I kept as a souvenir. The Cray Museum in Chippewa Falls used to have a nice collection of CDC and Cray systems. Maybe someone there can help you — if this museum still exists. Thanks for the tip. I’ll check that museum out! The Chippewa Falls Museum of Industry and Technology’s Coordinator is intrigued by this thread. Please contact us at : info.cfmit@gmail.com and we can try to help. I’m sure you can help me understand some things! I have direct access to some of the people who built, installed or worked with these computers. Looking forward to whatever comes of this. Thank you for contacting me and I’ll get in touch at the above address. You might try contacting http://www.cray-cyber.org While they don’t list the system your working with. They are restoring some systems to active status and never know they might have some old software in their archives. Worth a shot. Thanks for the suggestion. I’ve been in contact with the Cray-Cyber folks and they don’t have anything X-MP related. The Y-MP EL they have is a substantially different architecture, and last time I’ve checked even that was down. Might be worth a check. Thanks for the tip! I’ll contact both, and see what comes out of it. 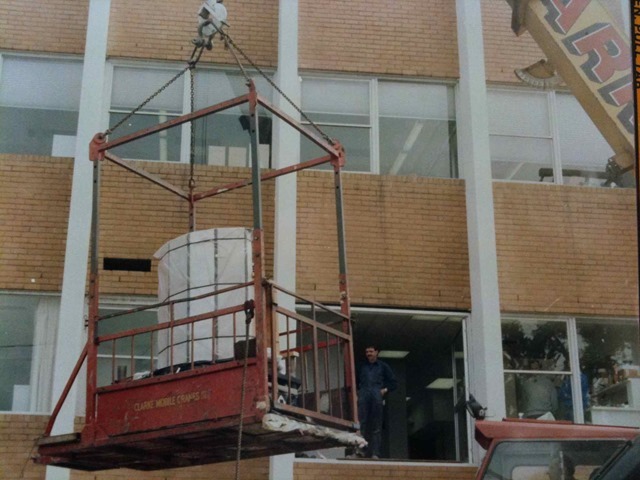 Here’s another suggestion for you – Barcelona supercomputer centre installed a Cray X-MP as recently as 1991 – maybe they still have some operating software or utilities for it? Thank you! I’ll contact them as well. Great tip, thank you very much! I’ve contacted them and hope that somethings comes up. maybe a stupid question: is there the assembler in the disk pack ? I suppose so. So we could also use some source listing, and compile a compiler from the scratch. Then, another question, is there a way to create a tape or another medium in order to run a job ? Putting in another way, how can I write and run a job using the simulator ? There are two ways of transferring files into the simulator. The best probably is to put files on the expander disk, by recreating it. You can use the build_exp_disk.bat file as a template to do that. The other way is to rename the file(s) you want to put on the tape to 1.dat, 2.dat, etc. and move them into the ‘boot_tape’ folder. Than they should be accessible from the expander tape. The final question is: how to create a job file. It seems to me that these files would need to be part of a dataset, where each line is a separate record. The dataset format is documented in here for example: http://bitsavers.trailing-edge.com/pdf/cray/COS/2240011E_Cray-OS_Ver_1.0_Reference_Jul78.pdf. I have written a tool (dataset_extractor) that can crack a dataset open and extract the individual files and records from it, but I didn’t do the reverse: to assemble a dataset from individual files. That’s on the TODO list. One thing that struck me when comparing to Chris Fenton’s older site is that you made little mention of xmpsim. xmpsim was a Cray simulator / XMP CAL interpreter for x86 MS-DOS PCs, written by Kay A. Robbins and by Steven Robbins of the University of Texas at San Antonio. Version 1.01 was the last known version, apparently dating from March 12, 1988. It has some nice features, such as the ability to produce a Gantt chart showing pipeline timing. xmpsim is described in the book entitled “The Cray X-MP/Model 24 : A Case Study in Pipelined Architecture and Vector Processing”. Thanks for the comment. I was aware of XMPSIM, I probably should have mentioned it. The difference between what Steven did there and I did is that while his is a fairly accurate simulation of the CPU pipeline, mine is a much less accurate simulation of the whole system – I/O, peripherals, interrupts. I’ve contacted Steven in the past but he was unable to help unfortunately. I am presently restoring a 1972. HP2000 TSB system, real hardware :), and hope to have it running on the internet probably this year. Anyway, my major interest in computing was always in a way “parallel processing”, so a Cray is very interesting! On another note, isn’t it absolutely weird how we succeeded to forget all we did in the 80-ies and early 90-ies. All the software lost… Recovering discs from magnetic image scans… We must be a strang civilisation… It is only 20 to 30 years!!! BTW: Regarding software development, there is always the “full bootstrap” possibility. Having a specification of the internal workings it is always possible to write a cross-assembler, then to write the assembler in Cray assembly language, transfer it to the simulator, and start up something like described by William Waite in “Implementing Software for Non-numeric Applications”, what he calls STAGE-2, a macro language capable for (cryptic) writing of compilers. I used this approach back in the mid-80ies to boot up an operating system and Pascal compiler for a industrial control multi-micro-computer system I designed using MC6809 processor(s). Thanks very much for the tip. Good luck with your restoration project, sounds interesting! Do you have a page about it? I completely agree. This was one one the big realizations for me as well. We can hardly understand how could people in the medieval ages use the Colosseum as quarry, yet we didn’t treat our own digital history any better. thank you very much for your hard work, its very important to preserve this fantastic machine! have you tried to contact http://www.computerhistory.org/ ? Or Mr Robert “Bo” Ewald, he worked in Los Alamos when they had 5 Cray…. Thanks! I have talked to the Computer History Museum, they don’t have anything that they can help with. I’ll try to track down Robert. So far Los Alamos could not help with anything either (and they were using CTSS, not COS). Having more leads could never hurt though, so thanks again. Have you considered contacting the people at cray-cyber.org? “These machines are originally intended to preserve the old culture and machines and make them available for everyone who just wants to play around, do software developing or whatever. Unfortunately they don’t have anything for COS or the X/MP line of machines. We helped port Unix to the Cray (Bell Labs). I did some command porting. Dennis Ritchie was the lead of this project. This is great, nice to meet you! I assume this was not UNICOS, right? Which machine did you use for the port? Our system became Unicos on the Cray X-MP. We wrote the C compiler also. I’m checking to see if there’s any trace left of the compiler work. NCSA had a Cray X-MP. As for http://www.cray-cyber.org/, there hasn’t been much activity there in quite a while. As of 2014-03-04, their machines had to be shut down. They were planning to move them, and were hoping to be back some time in 2014 (unfortunately that didn’t happen). There have been no posts on the diary since then. What about contacting Cray’s family directly ? I haven’t thought of that path. Thanks for the suggestion! I don’t recommend contacting the family. Most everything they had was donated to the Cray Supercomputer Exhibit. We go through friends of the family, when we have questions for them, out of respect. Where do you stand on this project today (May 2017)? Thank you for your interest. The project progressed quite a bit (see http://www.modularcircuits.com/blog/articles/the-return-of-the-cray-files/ for some of the updates). I’m getting ready to release a new version of the simulator, with many new features and much wider OS and machine support. Stay tuned. Thanks for your hard work !! What happened to cray-1x repo in code.google.com? They are now empty. I searched for cray-1x on GitHub but all clone repos are empty too. There were no repos on sourceforge. Thanks. Unfortunately Google changed their servers around and won’t support (maybe it does now, but didn’t for a while) SubVersion. As a result we’ve moved the repository to a private server. I periodically do source releases on the website though and of course if you wish to contribute I would be more than welcome to give you access. We’ve got a Cray XMP in our museum collection (see http://nih.pastperfect-online.com/37870cgi/mweb.exe?request=record;id=6B758A78-DF59-4A7C-B6C9-076222561075;type=101 ) and are hoping to put it on permanent display in the National Institutes of Health Clinical Center. It would stay in place, and we would change the interpretation every now and then. I’ll be starting research for the exhibit soon, and will certainly be reading your blog! And if I find that we have any OS stuff you might need, I’ll let you know. I anticipate having many questions, if you wouldn’t mind me asking you. Unfortunately no. It would be a *ton* of effort to port Linux over to the Cray architecture, starting with binutils, then GCC. Even then, the rather trivial memory protection scheme that’s available in the Cray architecture (no MMU) would probably prevent anything but uCLinux to be ported. With the current C compiler at least, there’s the additional problem that ‘short’ is a 64-bit integer with 32-bit semantics, that trips a lot of standard programs over, like openssh. That being said, there are several programming languages available on the current UNICOS installation, such as perl, fortran, C, even an early version of C++. Earlier versions of the OS supported Pascal and I know that there existed an ADA compiler as well though I don’t have access to that. Thanks for the reply not surprises there LOL i thought that is the way it is. You cant allow the cos operating system come with the simulator can you ? Well, there were two OS-es for these old Cray machines. COS, the older one is a non-interactive batch operating system. I have bits and pieces for it, and I actually include that in the distribution. It’s an incomplete setup though so there’s not much you can do with it other than getting a flavor of this class of ancient technology. The newer OS, UNICOS is UNIX-like and while I have several versions of it, I can’t redistribute those. The online simulator has the most recent release (10.0) on it with some extra packages, like the compilers and the cray open source packages (also abbreviated as COS just to make things more confusing). I’ve also compiled several open-source packages, like bash or Midnight Commander to enable a more modern feel. At its heart though, it’s still just an old UNIX port. Another note: the installation and configuration of the OS is less than trivial, especially without the operator workstation and it’s SW. So even if I had the rights to distribute the OS, you would need a *lot* of tinkering (or I would need to write a loooong intro) to get it off the ground. I run ubuntu 16.04 on my laptop. I was wondering if i can compile the simulator to run in ubuntu let me know. I don’t see why it shouldn’t work. I am at make 14112 in the SIM_lib and out of memory. How big it this compile job? That’s strange. I’ve never had that problem. The makefile uses link-time code-generation, but that should not impact SIM_lib. In fact, if anything, it should reduce memory usage in that step of the process. 8Gb of RAM should definitely be enough to compile. I suspect you’ve run into a toolset bug, but I of course can’t be sure. make: warning: jobserver unavailable: using -j1. Add +’ to parent make rule. make: Nothing to be done for all'. I really don’t know anything about Visual Studio Code. I am not sure what is meant by building a 32bit project to get a JSON file. I have used frameworks before, I just don’t see the functionality. Maybe this is because I am using CentOS 7. Any suggestions on cross compiling with librt and lsupc++ would be appreciated. I think my compile command is effective, though obviously the -I commands are being ignored.